Fuel will not be available after petrol stations close at 6pm, the GRTU said on Monday night. In a statement following a lengthy meeting with station owners, the chamber said the action would start on Tuesday. Fuel will only be sold while petrol stations are open. The GRTU warned that the measures could escalate over the coming days. Station owners will meanwhile be withholding licensing payments due to the resources authority. Fuel station owners met on Monday evening to discuss the way forward after the government rejected their proposal for a higher profit margin. The government last week said it had made an alternative proposal to fuel station owners. No details of the proposals, however, were released by either side. Monday’s meeting came after the ultimatum for an agreement, given to the government by the Chamber of Small and Medium Enterprises (GRTU) expired with no deal reached. CEO Abigail Mamo said the situation had become untenable. On Sunday she had said that all options were being considered when it came to possible directives and to what extent this would disrupt normal service at the pumps. Owners of fuel stations have been at loggerheads with the government over a plan that would see all stations have to upgrade their facilities by next year to be in line with new requirements set by the Environment and Resources Authority and the Regulator for Energy and Water Services. Discussions between the chamber that represents the petrol station owners and the government have been dragging on for some four years, and operators are expected to refurbish fuel stations by next year – an expense that could reach €500,000 each. The owners are arguing that the government could still meet their demands without having to increase the price of petrol and diesel. 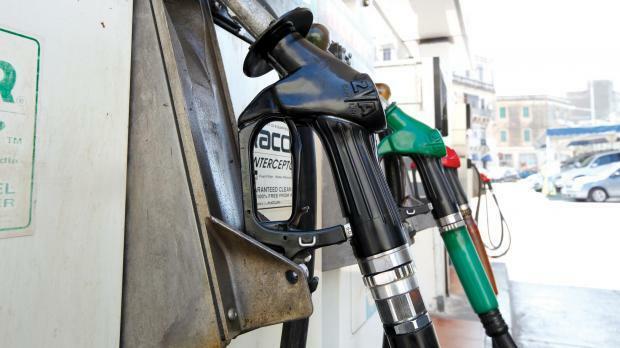 The government said that in 2011, the Malta Resources Authority had granted the fuel station owners an increase in profit. However, the government insists that the latest demands would result in higher prices at the pumps for consumers. The owners hit back saying the 2011 increase was eaten up by other costs. The GRTU said it had submitted proposals on how to accommodate the request without burdening consumers. The Nationalist Party said in a statement on Tuesday evening that the government could have helped fuel station owners without raising prices for consumers – if only it had not lost €14 million through its agreement to buy oil from Azerbaijan, €40 million on the purchase of LNG gas which went into someone’s pocket, and €200 million every two years on the Electrogas contract. Many petrol station owners who joined Enemed’s franchising said they were contacted by Enemed officials who wanted to know if they were taking part in the industrial action and threatened they would have to face repercussions if they said, the GRTU said in a statement on Tuesday. The association condemned the behaviour of this “supposedly independent” company which, it was, was being used for ulterior motives. It confirmed that Enemed’s contract could not stop any petrol pump owners from safeguarding their interests and implement the decisions needed for their business. The GRTU said it would be taking all the necessary action to protect its members. In another statement, Enemed categorically denied the allegations and deplored what it termed as GRTU’s attempt at falsely attempting such and the fact that it was being used for ulterior motives. It said that, as a fact, it invested in a large number of pumps which became its franchises for clients to have the best service including 24 hour daily access to fuel from safe and efficient equipment. It wanted to assure itself that the commercial relationship it had with fuel pumps would not be negatively affected and to ensure that consumers had adequate and guaranteed access to fuel. Enemed said it did not see why consumers should be penalised in a case in which it was not involved.